Posted November 20th, 2018 | Category: Replay Video Capture, Stream & Save. It’s Fall, arguably the most delicious time of the year. Whether you love to cook or not, it goes beyond a doubt that you probably want to enjoy some of the tastiest recipes of the season to warm you from the inside out. 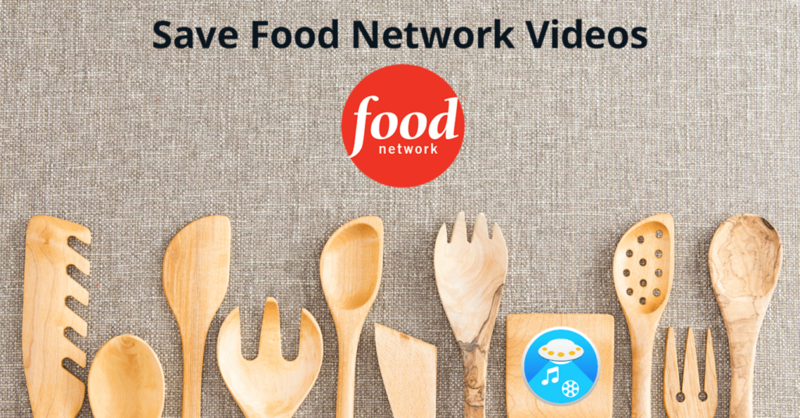 We couldn’t think of a better way to celebrate the season than to round up some of our favorite recipes on Food Network to make sure that no matter where you are on the cooking/eating spectrum, you are well-covered. And while cookbooks are great (thanks, Mom!) sometimes the absolute best way to capture a recipe is on video (what is “folding” anyway?). In order to do that, we’ve absolutely got you covered. To save some of the best fall recipes around, we always recommend using Replay Video Capture so that you never miss a single, mouth-watering thing. This delicious appetizer makes some of the best use of season-fresh ingredients that we’ve seen! Fall is all about keeping warm and cozy. This soup takes one of the season’s staples and puts a twist on one of the most comforting foods of the season. Don’t miss any fall appetizer ideas! You can record any recipe online using Replay Video Capture. You really can’t ever have enough pumpkin. This curry recipe gives a seasonal favorite a new flavor profile. For a mouth-watering twist on the traditional turkey dinner, try this cranberry-orange glazed turkey, courtesy of Chef Giada deLaurentis. For a delicious vegetarian main dish option, give this pumpkin risotto a try! Never miss a main course – use Replay Video Capture to record all your favorite fall meal ideas. For an alternative to traditional pumpkin pie, this flan is a light yet incredibly flavorful choice. Girl Scout cookie season isn’t the only time in the year to get absolutely delicious cookies! Try this recipe, perfectly spiced for fall, and brought to you by Food Network. Find your favorite fall sweet treats and record them using Replay Video Capture! For your very own version this fall-spiced holiday classic, you don’t have to go very far from your own kitchen! What a great way to start the day! Check out this recipe for the tastiest fall pancakes we’ve seen yet! Don’t miss these recipes and more – you can find and record all your favorites, using Replay Video Capture! As you can see there’s really no shortage of delicious recipes to try out this season…. the only question is where to start! Make sure you don’t miss a single minute of the best content online – we’ve got you covered with Replay Video Capture. Not sure how to do it? Check out the Replay Capture How-To Guide and get started! Posted November 12th, 2018 | Category: Replay Video Capture, Stream & Save. Basketball’s evolution has made everything smaller and faster, and offenses are looking for any opportunity to run. This leaves coaches desperately looking for ways to combat the offensive surge. The Los Angeles Lakers cited transition defense as a reason for signing Tyson Chandler. It’s a reason often given for why the Cleveland Cavaliers fired Tyronn Lue as their coach. And it was the biggest point of emphasis on Sunday when the Milwaukee Bucks made a statement by throttling the ultrafast Sacramento Kings. Clearly, the game we all know and love is evolving; and, as a result, scoring and pacing is way, way up. If you don’t want to miss a minute of these fast-paced frenzies with the Lakers, the Warriors, the Cavs, the Rockets, and more? Keep on reading for the best way to record and save every NBA game this season. Take a look at the full NBA 2018-19 game schedule right here on the NBA website. Cable has never been more unnecessary for watching and enjoying all of your favorite team’s NBA games – all you need is a reliable online source! Smooth and seamless live streaming is available from NBA League Pass for just a few bucks a month, so you always have access to the best NBA games online. Want to record NBA games online? You can save every NBA game of the 2018-19 season, streaming live from NBA League Pass, and store them in a high-quality format using Replay Video Capture. Hot Tip! If you’re afraid of missing out on those late, late game times, check out how to use Replay Media Catcher to automatically start recording live streaming NBA games from your computer once the game begins – even if you went to bed a long time ago. Then, catch up on your subway commute, lunchtime, or any other time you have to catch up on your top teams. The playoffs will show whose strategy, on-the-spot instincts, and pure talent will go to the NBA Finals this year — nothing’s set in stone. Below you’ll find the current NBA standings for the Eastern and Western Conferences, and you can always find more information on the NBA website. Ready to record every NBA game this season? Any questions on recording or getting started? We’re always here to help. Posted October 22nd, 2018 | Category: Replay Video Capture, Stream & Save. No matter who you’re rooting for, you can capture and record the Dodgers vs. Red Sox World Series games from sources online using Replay Video Capture, saving every slide, pitch, and home run in high-quality! The World Series games will be broadcast live by Fox, and online viewing options include live streaming on Postseason.TV and MLB.TV. Postseason.TV removes commentary and allows only alternate angles for watching, making it perfect for those who just want to watch and capture those key game moments. MLB.TV subscribers have full access to every game online, 100% live. While you do have to pay, this may be one of your least expensive options for watching and recording the games. Make sure you have the latest Replay Video Capture for Mac or Replay Video Capture for Windows to record every World Series game streaming online! With our media recording software, baseball fans can create amazing, brag-worthy videos of every MLB World Series game. Plus, it’s the only program out there that perfectly captures streaming video anywhere online, all without circumventing copy protection technology, making it legal for personal use. Posted September 25th, 2018 | Category: Replay Video Capture, Stream & Save. Raise your hand if you’ve been stuck in transit – on your daily commute, long flight, or back seat of the car – and feeling completely bored. Streaming movies on-the-go isn’t exactly the ideal situation for your (likely) strapped data plan, though. And, while many sites and services now offer the ability to download some very select content to watch offline on your smartphone, the limitations behind WHAT you can actively download and WHERE you can save the file beyond your phone can make things difficult. This means that you can later watch it anywhere and anytime, as often as you wish. No continuous Internet connection is required to watch the movie, once its file has been downloaded and saved! With Replay Video Capture, it takes just a few quick to-dos to go from incredibly bored to constantly entertained – no matter which mobile device you’re using. Here’s the step-by-step for how to record movies online to save them to your smartphone, tablet, or other mobile devices. Download Replay Video Capture, open the software and start playing the movie on Netflix, Hulu, Amazon, NBC, Comedy Central, and just about any other streaming media site that you want to save from. 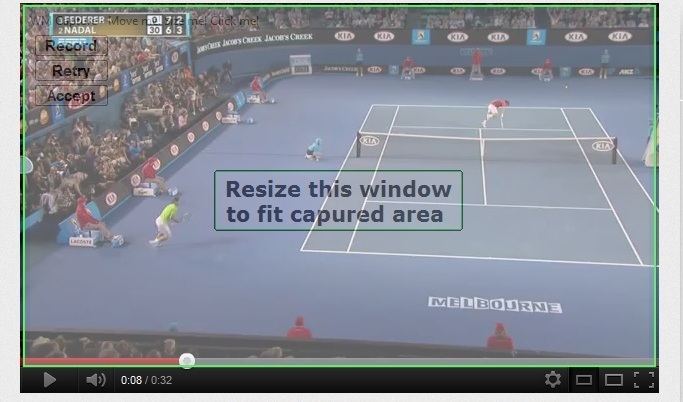 Click Get Video in Replay Video Capture and the software automatically finds and marks the video area on your screen. Replay Video Capture will start recording and saving your movies! With the ability to produce incredibly high-quality video recordings without freezing up your computer, and a powerful background recording mode that lets you capture while you’re doing something else online, it’s the perfect tool for recording and saving movies to your smartphone without being disruptive. 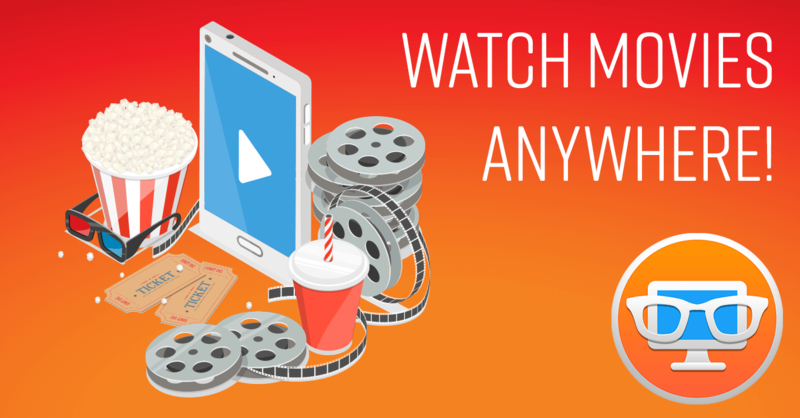 After using Replay Video Capture to save movies, TV shows, and other awesome video content available online, you’ll never have to worry about being exclusively offline or without Internet again! Good to note: The digital file associated with a movie requires storage space on the device you’re using. The file size will depend on the resolution of the movie, as well as its length. Plan to allocate between 2GB and 3GB of storage space for each Standard HD resolution movie, and upwards of between 4GB and 6GB for a 1080p or 4K resolution version of a movie. 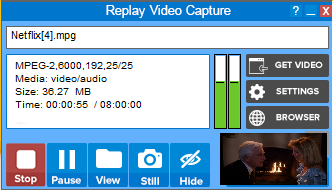 For a more complete look at how to record movies and other video content in our Replay Video Capture User Guide. 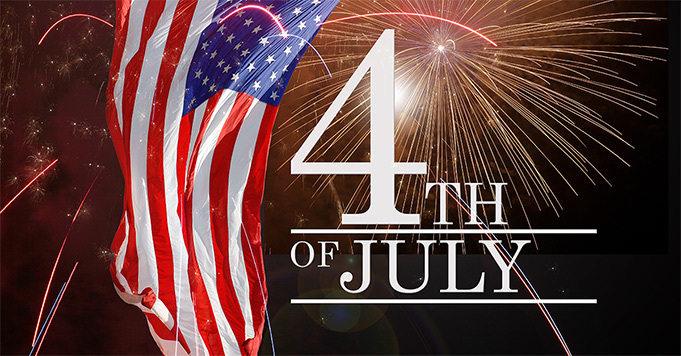 Posted July 25th, 2018 | Category: Netflix, Replay Video Capture, Stream & Save. Netflix is brimming with a ton of original content, fresh new seasons, and awesome movies coming to their catalog in August. With a ton of plans through the end of 2018, as well, our favorite streaming platform online has a lot going on that we’re trying to keep up with. As we impatiently wait for the arrival of next month’s great new content, we thought we’d take the chance to round up some of what we’re most excited for. Prepare yourselves for a fantastic month – and even better rest of the year – when it comes to new entertainment on Netflix! Here are some of the top titles that are coming new to Netflix in August. In association with Netflix and A&E, this British production takes an in-depth look at the stories of prisoners on death row in America. With incredible storytelling that shows us the many sides of each inmate’s story, the docuseries is made up of one-hour episodes that feature 10 different prisoners. Watch + record I Am a Killer from Netflix. Kristen Bell plays a complete workaholic who is ditched at the altar, left to figure out her life and what to do with her fully-planned honeymoon. Kelsey Grammer plays her estranged dad, who ends up joining her on her all-inclusive Caribbean cruise getaway. While the pair may not start out super close, there’s a lot of room for growth in this comedy-drama. Watch + record Like Father from Netflix. What happens when a hip-hop legend decides to take a few steps away from his career and become a stay-at-home dad? Obviously a lot of funny life lessons and heartwarming moments. Known for his time with the iconic group Run-D.M.C., Rev Run and Justine (his wife) star in this slightly fictional, mostly hilarious sitcom that we can’t wait for. Watch + record All About the Washingtons from Netflix. Matt Groening had never stepped a foot into the world of Netflix… until now. His first ever exclusive project with them, Disenchantment, already has fans of Futurama and The Simpsons counting down until the release date. Based in a fairytale gone wrong, the main characters include a mostly-drunk princess and her personal demon, among many other. Watch + record Disenchantment from Netflix. Following its recent string of successful, original romantic comedies, To All the Boys I’ve Loved Before chronicles the life of a lovesick girl who writes letters to her past crushes. Plot twist – the love notes are suddenly released and she has to confront each and every one of her exes in a series of hilariously awkward moments. Watch + record To All the Boys I’ve Loved Before from Netflix. A young teen couple has escaped the confines of a home life-prison situation in this supernatural series from Netflix. The only big problem? They’re being hunted down for the special powers they have. We don’t know too much about what this show will entail, but it looks like a thrilling adventure. Watch + record The Innocents from Netflix. Watch + record Ghoul from Netflix. One of Netflix’s highest-ranked original shows to date, Ozark is just about back for a second season. The teaser trailers have been intentionally vague, but we can tell one thing: the Byrdes appear to be in the midst of being hunted. With a ton of dark scenes and dangerous escalations, season 2 of Ozark is bound to keep us at the edge of our seats. Watch + record Ozark from Netflix. With all these amazing new movies and shows on Netflix, you should be set until the next month of new content arrives. With Replay Video Capture, you can record anything from Netflix to watch and enjoy later – it’s the perfect tool for building up your personal media library with all the best entertainment that Netflix has to offer! Get Replay Video Capture for Windows or Replay Video Capture for Mac to download and save all of your favorite Netflix movies and shows! Posted July 18th, 2018 | Category: Replay Video Capture, Stream & Save. The 2018 Tour de France is the 105th edition of the official Tour de France, one of professional cycling’s Grand Tours. While the race began in Noirmoutier-en-l’Île on July 7th and will conclude with the Houilles to Paris stage in Paris on the 27th of July 2018, there is still plenty more to come before a true winner is named. The challenges faced and the sheer, unrelenting determination needed to come out on top at the Tour de France is unbelievable. Between rough and uneven cobblestones, steep mountain passes, and constant pressure to perform, these athletes have proven that they deserve to be exactly where they are. And, with some impressive performances from Greg Van Avermaet, Alejandro Valverde, Mikel Landa, Chris Froome, and Geraint Thomas to name just a few, the competition has been fierce. For those with a little extra money, a want for a new subscription, or already have it on-hand, NBC Sports Gold has all of the online access you could ever need. The special Cycling Pass offers two ways to watch, including a commercial-free feed that’s live, on-demand, and features extended coverage and interactive tracking with commentary by Matthew Keenan and Robbie McEwen. What’s not to love? Hooray! Hulu now offers a bundle of live TV channels that includes NBC and NBCSN so you can get your fill of sports… Tour de France included. You can sign up for “Hulu with Live TV” and watch a live stream of both channels on your computer via the comfort of the Hulu website online. NBC and NBCSN are also both included in the “Fubo Premier” channel package of FuboTV, which is tailor-made for international sports fans like you. With a free 7-day trial, you can then watch the races live on your computer via the FuboTV website. Posted June 19th, 2018 | Category: Replay Video Capture, User Stories. Before video capture was even considered, business owners got by with FAQs as a method of providing information for the ease of consumers. But there was always something that could be improved – people see an email address and would prefer to have an answer from the providers themselves. This was the case for Eric Ilasenko, owner of our powerful Replay Video Capture tool. Then there came the solution – Eric decided to use our Replay Video Capture to record a full-screen demo, displaying a step-by-step instruction process for his audience. This video was then posted to the FAQ page as a contribution to the text. Replay Video Capture is the best way to make a production quality video recordings from hard-to-record sources. It’s widely used to record online video content or to convert movies to high quality. For Eric, it’s been perfect for utilizing Keynote and multimedia presentations as it’s easy to use with the fully automated screen. How Does Replay Video Capture Work? Replay Video Capture can expertly record streaming online video (and any other video playing on your screen) with perfect quality. If you can watch it, you can save it! Record video from ANY web site regardless of format. Want to try Replay Video Capture for yourself? Click the big buttons below to download the program for Windows or Mac. This article was originally published on August 17, 2017, and is as important and relevant as ever. Posted June 6th, 2018 | Category: Replay Video Capture, Stream & Save. Basketball fans young and old across the country have been crazed about the 2018 NBA Finals. Now the 4th(!) 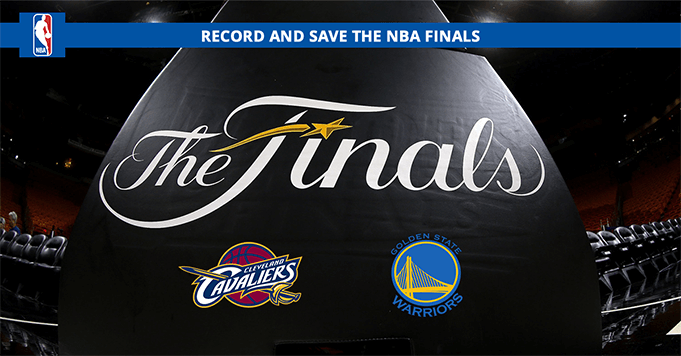 year in a row that the Golden State Warriors and Cleveland Cavaliers have faced off for the championship, it’s the first time in the history of the sport that the same two teams have made it to the end so many years in a row. Between the Game 1 overtime upset from J.R. Smith to the multitude of collisions, crazy layups, and seriously impressive 3-pointers… so much has happened already you really can’t afford to miss a single game. The Warriors currently have the advantage, but you never know what might happen with a matchup like this! While the teams may be familiar, the latest official sponsor and viewing partner of the NBA Finals this year is brand new: YouTube TV. We’re excited about the future of this partnership, providing the best of NBA Finals live streams without all the awful buffering; plus, you can use some great software to record every NBA Finals game. Posted May 30th, 2018 | Category: Replay Capture Suite, Replay Video Capture, Stream & Save. For sports fans around the world, the summer season can be an exciting time of year. From the start of May until the end of September, we’ll be glued to our screens to find out which teams and players are advancing, what sports are getting the most action, and how many games we can fit into one day. Luckily, using the recording power of Replay Video Capture, we don’t have to sit down and watch it all real-time — with our media-recording software, you can record and save every game from the amazing summer sports below, from YouTube to ESPN and beyond. We’ve made it to the NBA Finals after a grueling few weeks of intense Playoffs games. Now, it’s up to the players on the Golden State Warriors and Cleveland Cavaliers to show who will make it out on top this year. The 2018 NBA Finals are streaming live on ABC, accessible via YouTube TV online where you can record it all. The 2018 US Open is one of the most anticipated in recent years, and you can watch it all from the comfort of your laptop. Between online streams from the USGA’s US Open website and live streaming coverage from Fox via Fox Sports Go, you can watch and record every minute of every game. Check out the starting game schedule below and head here for the full thing. Featured Groups 1: 7 a.m. – 6:30 p.m. Featured Groups 2: 7 a.m. – 6:30 p.m. Featured Holes: 7 a.m. – 6:30 p.m.
Fox Sports 1 (FS1) broadcast: 9:30 a.m. – 4:30 p.m.
Fox Sports 1 (FS1) broadcast: 10 a.m. – 4:30 p.m.
Fútbol is heading to Russia this year as the FIFA World Cup 2018 is kicking off at Luzhniki Stadium – the first ever tournament to be held in Eastern Europe. After a total of 64 matches played in 12 venues across 11 different Russian cities, the champions will be crowned in the same arena on 14 July. You can see the full schedule of games here and a list of all the qualifying teams below – just remember to record it all when the time comes. While the X Games have been pumping out awesome events and content since the beginning of the year from its base in Minneapolis, the Summer X Games are about to begin. The most prominent event for extreme and action sports out there today, it boasts 4 days of thrills, stars, live music, and more. The full lineup of events has yet to be announced, but you can bet they’ll be live streaming it all from ESPN and YouTube online so you can record it all. The U.S. Open Tennis Tournament is the only Grand Slam Tennis Tournament played in the United States, which is only part of the reason why we get so worked up about it year after year. While we’re currently wrapped up in all that the French Open is giving to us, we’ll have to wait a bit longer before the event makes it back “home” to the U.S.A. We’ll keep you in the loop as it gets closer, but you can be sure that the games will live stream online through BLANK, making it easy to record and save it all!